Building a small business is not for the feint of heart! There is so much to learn, do, and maintain that sometimes you wish someone would just tell you where to find the answers, who to work with, and how to do it all in a cost-effective manner. We know exactly how you feel – we’ve been there! The goal of this Resources page is to provide you with QUALITY services and products that will serve you well. No need to spend hours researching things yourself, these are the companies that have met our high standards. But, if you’re still unsure, feel free to contact us if you would like additional information about any of the resources on this page. Book Publishing: If you are a skilled expert who wants to share what you know to help others while bringing some great marketing exposure (not to mention some cash from book sales, speaking engagements, and webinars) I HIGHLY recommend you write that business book you've been thinking about. I have direct contact with the premier business book publisher and will put you in touch. Contact me for more info and an introduction. 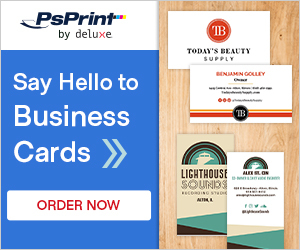 Business Printing: PsPrint offers quality printing at great prices. Their monthly specials are worth taking advantage of! At Teric, we don’t up-charge for printing so set up your own PsPrint account and we will upload the files for you! Check out their printing deals for your next project. Domain Registration: Generally, for simplicity sake, I suggest clients register their domain through their website host. However, if you purchase a lot of domains for forwarding and special use, you can usually get a better price through Namecheap, where your first year of registration is often less than $1.00. Program Evaluation/Effectiveness Assessments: You spend time, money and energy creating new programs but how do you know if they are working? Did your staff gain anything from attending the conference? Is the new customer acquisition program effective? Has the community-based training you provide made any positive impacts? If you have questions like these, HealthTech Consultants will provide you with answers. Highly skilled evaluators, data analysts, and interviewers make up the HealthTech Consultants team – literally the best in the business. Website Hosting: Your business should have control of your website hosting and files regardless of who creates your website or who does your marketing. There are 2 main hosting companies I like. 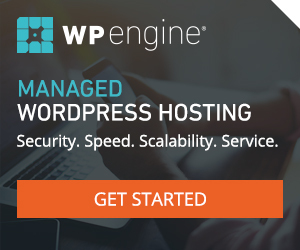 For managed WordPress hosting, WPEngine has the best reputation. You can rest a little easier knowing your site has more protection and proper updates. If you aren’t ready to spend $29/mo. and have a good tech-person to help keep your site updated, InMotionHosting.com offers great service and great rates. Website Security: Sucuri offers some of the best features in website security, and are great to work with should you have a problem. I HIGHLY recommend every website owner sign up for the Website Security Stack (WSS) at the Basic level if you don’t need an SSL, or the Pro level if you do. Additionally, invest in the backup services so that you have a daily backup of your site that is NOT attached to your hosting account. This way, if someone hacks into your hosting account, or if your hosting account server dies, a complete set of your site files are in a completely separate and secure location. If you need help integrating Sucuri with your website, contact us and we will set it up for you.